The mission of the Filipino Mental Health Initiative is to improve the well-being of Filipinos in San Mateo County by reducing the stigma of mental health, increasing access to services, and further empowering the community through outreach and engagement. We strive to connect individuals to appropriate health, mental health and social services, and ensure culturally appropriate services through provider collaboration. 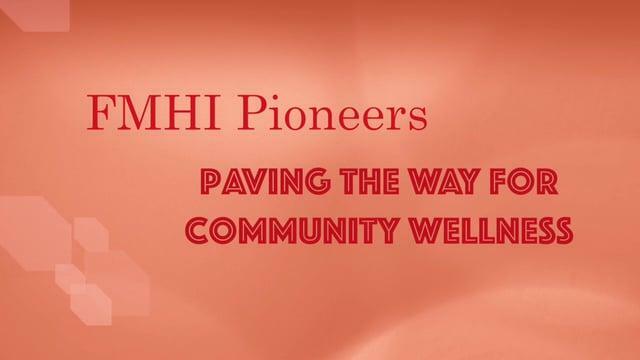 The Filipino Mental Health Initiative (FMHI) grew out of a series of focus groups conducted in 2005 facilitated by Behavioral Health & Recovery Services of San Mateo County. Community members, providers, and interested individuals came together to discuss a broad array of issues pertaining to health and mental health, particularly the stigma associated with mental illness and the barriers that prevent Filipinos from obtaining appropriate services and treatment. We have been active in providing community outreach, parent event nights, provider training, the development and dissemination of 5,000 community directories, and the inclusion of over 35 agency representatives to be part of an oversight committee. The Filipino Mental Health Initiative has grown to include a diverse range of members and collaborative partners including staff from Behavioral Health & Recovery Services of San Mateo County, Asian American Recovery Services, Pilipino Bayanihan Resource Center, Community Overcoming Relationship Abuse, San Mateo County Health System, community members, and other stakeholders. FMHI meets on the 3rd Thursday of each month from 3:30pm-5:00 pm at the Pilipino Bayanihan Resource Center, located at 2121 Junipero Serra Blvd in Daly City. All are welcome to participate. For more information regarding FMHI and ways to get involved please email FMHISMC@gmail.com. The Filipino Mental Health Initiative is funded by the Mental Health Services Act (MHSA). Connect with us on Facebook: facebook.com/FMHI.SanMateoCounty.